Do All MP3 Players Sound Alike? "Recently I read a review of an mp3 player where the author purposely chose not to discuss sound quality because, in the author’s words, 'The chosen player has a great deal to do with how you access your music, but very little to do with how it sounds…' That got me thinking. Do all mp3 players sound alike? They are all digital, so it’s the same 1’s and 0’s playing the music, so how can there be a difference in sound quality? I have tested some mp3 players myself and have noticed drastic differences. I have trouble believing that mp3 players don’t influence sound quality that much. They have different components, circuitry, software and build tolerances, so how can there not be a difference?" Mobility Site's Steve Laser writes on a very important topic in the portable media player discussion. I seem to recall that in 2001 when the iPod came out, other players on the market were focusing on more faithfully recreating their digital sound and used higher-quality audio parts and software decoders. 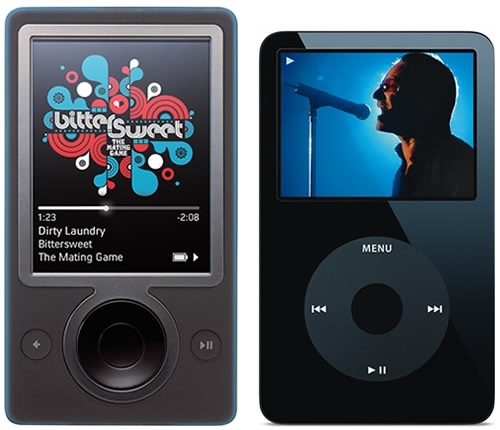 The iPod on the other hand, was more focused on affordability and battery life, and went the "walkman" route in supporting a technology that was "good enough" for most people. Laser poses the question to audiophiles and tech reviewers from around the net, with surprising variance in their responses.